Ragamuffins Day Nursery | Spook-tastic Decorations and Storytelling at the Brambles! 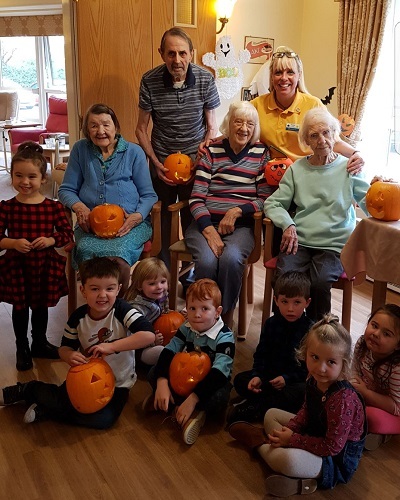 The team and residents at Brambles Residential Care Home on Birchfield Road welcomed youngsters aged three to four from Ragamuffins Day Nursery in Webheath to help get set for Halloween. The children came equipped with their reading books, entertaining the residents with their stories and rolled up their sleeves to carve some spook-tacular pumpkins.